DAVID LE/Staff photo. 2/17/15. 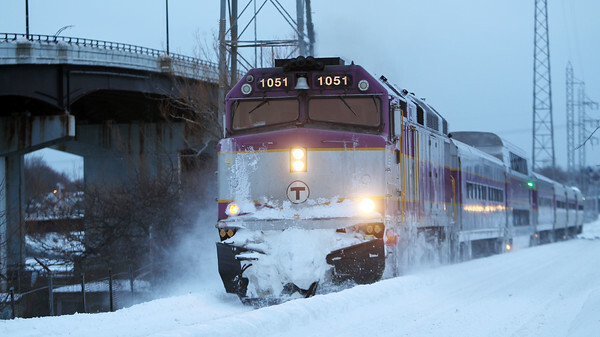 The Newburyport/Rockport MBTA Commuter Rail line plows through the snow while crossing over into Beverly on Tuesday evening.